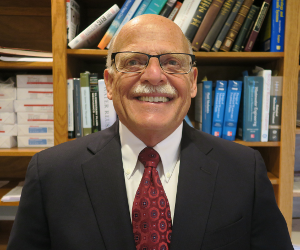 Dr. H. David Stensel, P.E. Dr. H. David Stensel, P.E., University of Washington, has been selected as the recipient of the 2017 Academic Engineer of the Year Award in recognition of his exceptional career as an environmental engineering educator who integrated cutting edge research with engineering design and problem solving. An emeritus professor, he retired from the University of Washington in 2016 after teaching for 36 years at the University of Utah and University of Washington. His work as an educator has been focused on encouraging his students to learn basic fundamentals and analytical methods and to connect that knowledge with design applications and problem solving. A key component of his classes has been to address local real-world project needs with students sharing their evaluations and design developments with engineers in the utility or firm involved in the local problem. He has been a great mentor to graduate students and has involved them in many of his research projects. His research contributions have focused on microorganism selection and novel biological treatment processes. He has been a leader in the application of novel full-scale treatment processes for biological nitrogen and phosphorus removal. He was the technical leader for the for the first full-scale wastewater treatment facility in North America that removed phosphorus by biological means instead of chemical addition. The biological option is not only less costly, but it enables phosphorus recovery and reuse. He led the design of the first oxidation ditch systems for biological nitrogen removal that are now used at over 1,200 wastewater treatment plants in the United States. Prior to joining the University of Washington, he taught environmental engineering at the University of Utah and served as Director of Environmental Engineering Technology for Envirotech Corporation in Salt Lake City, Utah.